Today, 15th March 2019, is being observed as ‘Global Climate Strike’ by youth in more than 100 countries against the Political Leadership of this generation, for lack of climate mitigation action. School students around the world are going to rally behind “Greta Thunberg”, the school student of Sweden who raised the voice against the present generation’s apathy towards the next generation’s future. To mark this day, Climate Collective Pune (CCP) invites essays on “Vision for Pune in 2030’ by School and College Students in and around Pune to share their ideas and imagination on how Pune Metropolitan Region (PMR) can become environment-friendly and climate resilient, while also remaining a modern and a smart city. The essays should be maximum 1000 words in MS Word Document in Times New Roman font or any suitable Marathi font, in font size 12 and on A4 Page size. For each essay to be submitted for the competition - please register your name along with a scanned copy of your Student ID and a bio-brief (not more than 200 words). Please also provide the mobile number and email ID to climatecollectivepune@gmail.com. The online competition is free but open only to students in and around Pune. The best 3 Essays in two categories (schools & colleges) will receive Cash prizes and suitable gifts at a special function by the Pune International Centre (PIC). Selected Essays will also be published on the Climate Collective Pune website. 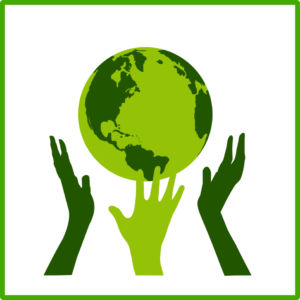 This essay competition intends to make the Pune youth think constructively about the Earth Ecosystem and about mitigating climate change, thus providing a platform for our future citizens to share their understanding and vision of Pune’s role, in contributing to India’s NDC commitments as well as to minimise the Climate Change Impacts. These Essays shall bring out how timely and meaningful climate action will be crucial to ensure that 'Generation Next' may enjoy the same beautiful earth that we all enjoy today. 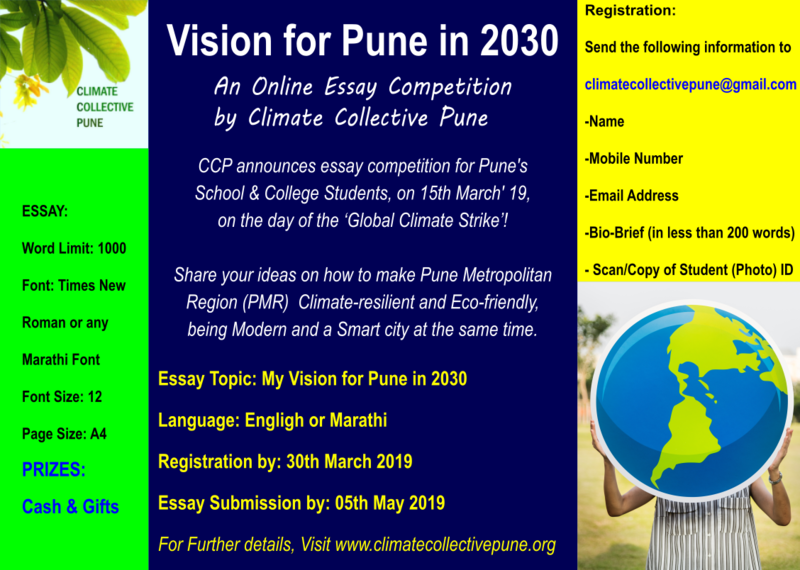 Please register your name before 30 March 2019 and Send your essays on 'My Vision for Pune in 2030' in English or Marathi by 5th May 2019 to climatecollectivepune@gmail.com. *Please note that the decision of the organizers will be final and no complaints will be entertained.